The 864™ See-Thru gas fireplace offers two sides of fire viewing, making it ideal for heating two separate rooms at once. 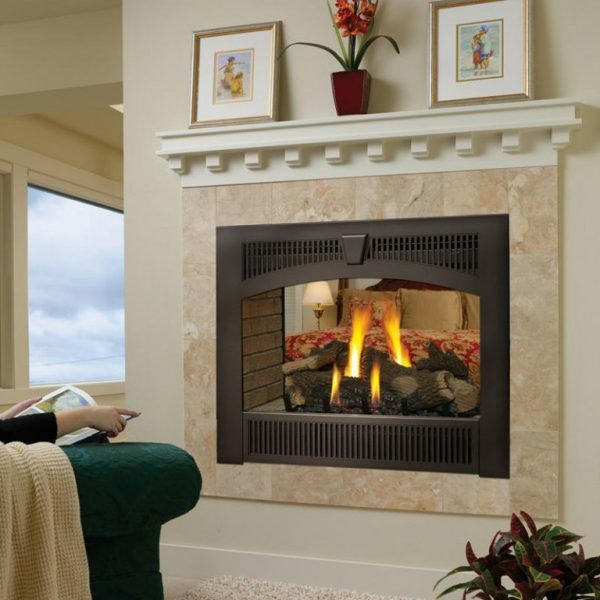 Both sides of this gas fireplace feature high quality, high clarity glass that comes standard with the 2015 ANSI-compliant invisible safety screen, increasing the overall safety of this unit for you and your family. Each side of the fireplace can also be personalized with faces to accommodate the room, and have been carefully designed to offer a differently log set appearance into each room.